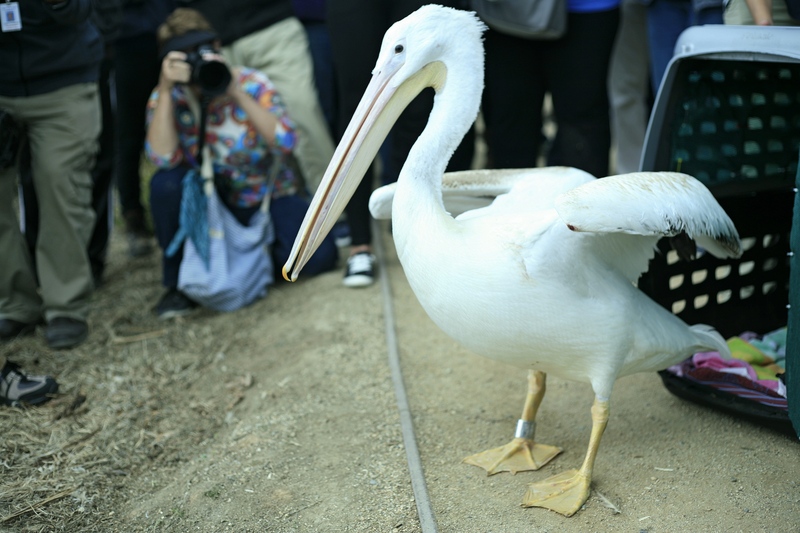 The pelican that was rescued in November in Newport Beach with serious injuries shakes out his wings as he prepares to take flight after he was released back into the wild at San Joaquin Wildlife Sanctuary in Irvine on Thursday. 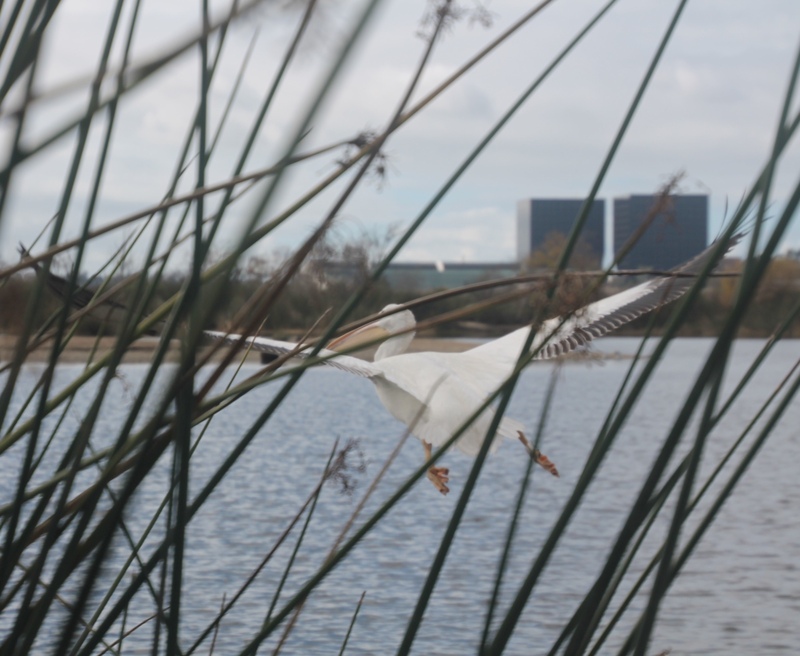 After two months recouping from some traumatic injuries, a white pelican captured in a Newport Beach neighborhood in November was released back into the wild this week. The road to recovery came to a positive conclusion Thursday at the San Joaquin Wildlife Sanctuary in Irvine. The freshwater pelican took about four minutes to waddle out of his crate, shake his feathers, give a few warning snaps from his newly healthy beak and fly away. It was a perfect, said International Bird Rescue Operations Manager Julie Skoglund after the pelican flew away. 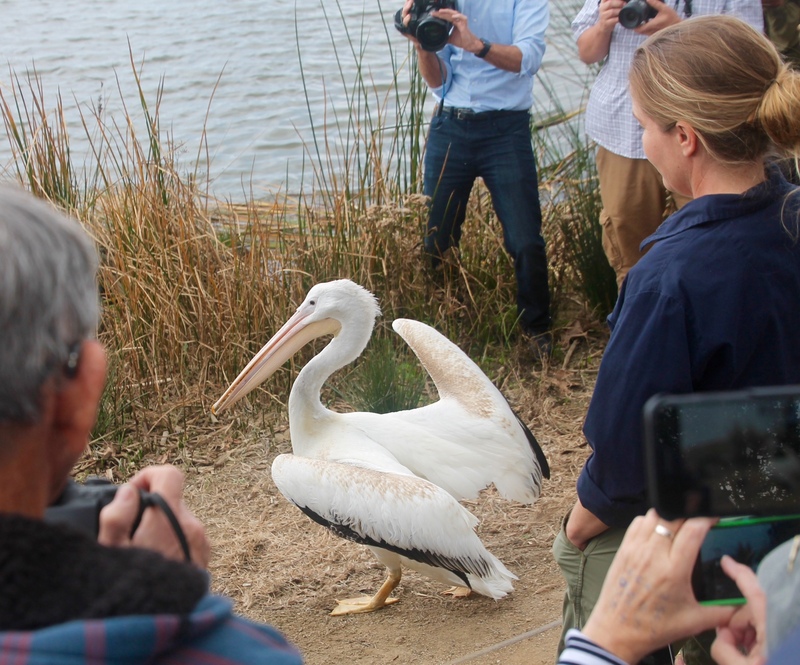 The pelican that was rescued in November in Newport Beach with serious injuries shakes out his wings in front of a crowd of onlookers as he was released back into the wild on Thursday. “He took his time,” she said. Skoglund and others involved with his care were in awe of how well he healed. 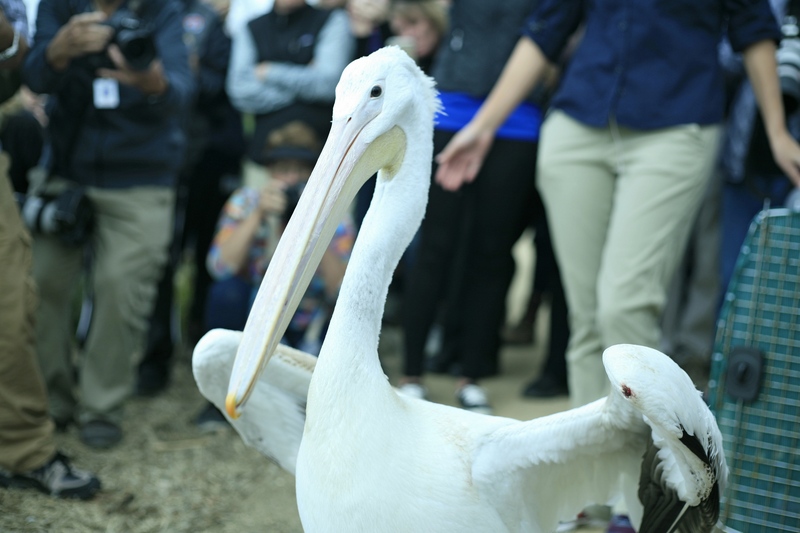 “It was incredible to release him after such a horrific injury,“ said Kylie Clatterbuck, the wildlife center manager who worked directly with the pelican during his recovery. His journey started when several people noticed the pelican with a severely fractured mandible and a foot entangled in a fishing lure. After he was spotted at the Sanctuary, several rescue attempts were made; but all were unsuccessful. 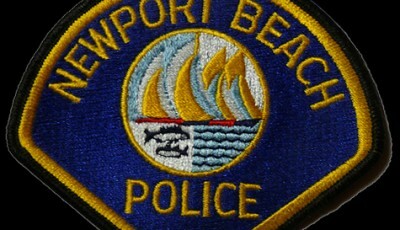 Newport Beach Police Department Animal Control ultimately rescued the injured American white pelican near a home on Port Stirling Place. When Animal Control Officer Nick Ott first heard the call for a pelican in a residential Newport Beach neighborhood, he thought it must be a brown (saltwater) pelican, which they sometimes find on the beach. 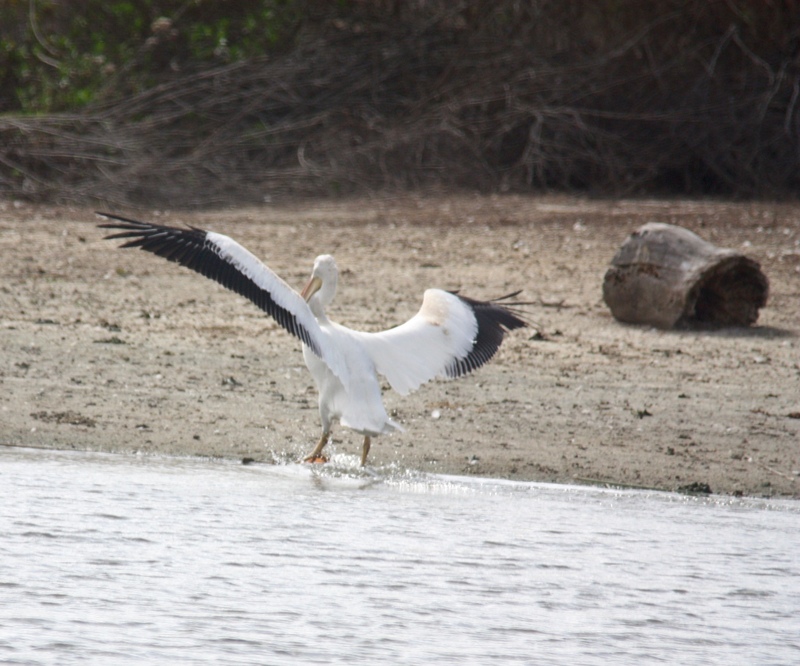 After asking around, no other current ACOs could remember a call about a white (freshwater) pelican, he added. It’s an unusual case, he said. Ott found it on a driveway, backed up against the garage, he recalled. It appeared to have a broken beak and a laceration on its neck, he said. It was weak and disoriented. 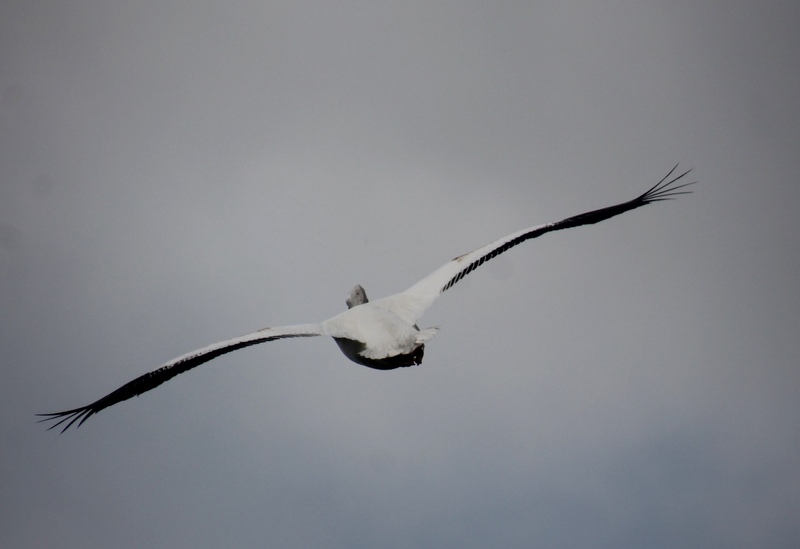 Because white pelicans are so big they need a lot of “runway space to take off,” Ott said. He blocked the pelican’s path so he couldn’t fly away and was able to capture him. The pelican was transferred to the Wetlands and Wildlife Care Center in Huntington Beach. 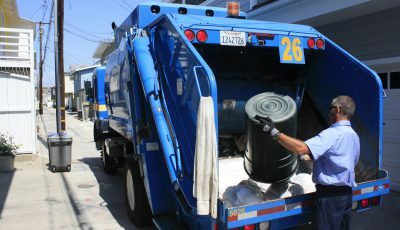 “They did all the real work, we were just the wheels,” Ott said. The immediate stabilizing care by the center likely saved the pelican’s life, Skoglund explained. Volunteers then transported the pelican to International Bird Rescue to have its injuries treated by their team, including veterinarian Rebecca Duerr. “I have seen a lot of horrible wounds from this type of lure before, but this is the first time I’ve seen a bird fracture its jaw due to one,” Duerr said in a prepared statement. It’s an important lesson for people to learn, added IBR Executive Director JD Bergeron in the message. “We can all do a bit more to keep an eye out for wildlife in danger and to remove dangerous litter like fish hooks,” Bergeron said. 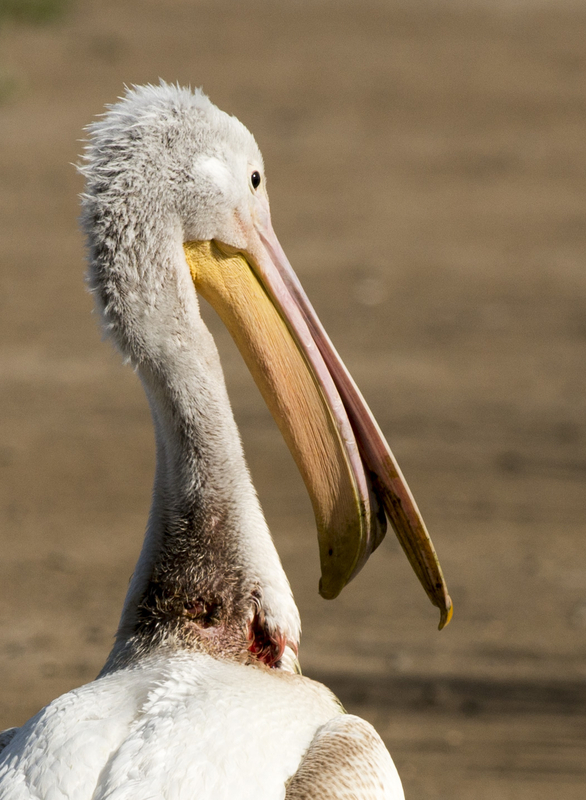 At the time, the pelican was “extremely thin, anemic, and suffering from multiple critical neck and foot wounds plus a grisly lower jaw fracture,” according to experts. It’s a heartbreaking case, Skoglund said. Without the rescue and care he received, the pelican likely would have “suffered a slow, painful death over time,” Skoglund said. 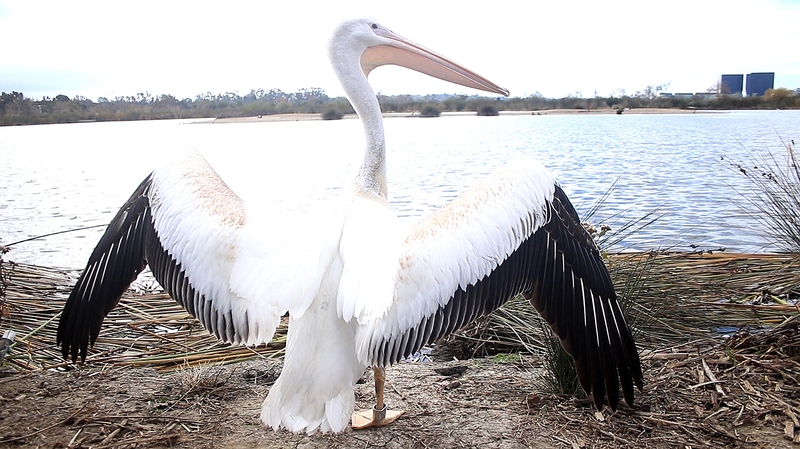 The rescued pelican takes flight at San Joaquin Wildlife Sanctuary in Irvine on Thursday. “We were really lucky to be able to intervene and to be able to help,” she added. 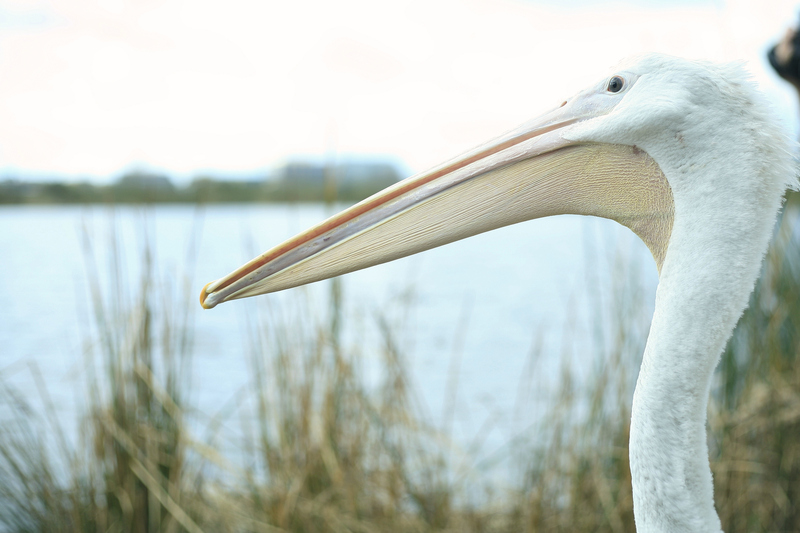 The specialized care allowed the pelican to heal and nearly double its weight during the two months. During his treatment, the pelican patient “captured the hearts of many” and became a local feathered celebrity. He recently won the title of “Bird of the Year” from the International Bird Rescue. The interaction and support from the local community definitely helped him earn nearly 40 percent of the total vote, said NBPD spokeswoman Jennifer Manzella. The pelican now has a metal band on his leg so if anyone spots him authorities can track his movement and general well-being. 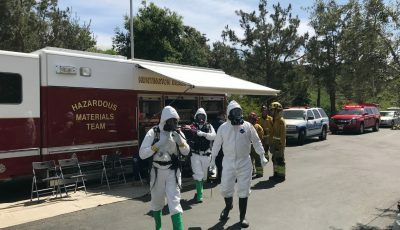 Skoglund said the rescue and rehabilitation was truly a collaborative effort between local Audubon chapters, the Newport Beach Police Department, Wetlands and Wildlife Care Center, and International Bird Rescue. The pelican that was rescued in November in Newport Beach with serious injuries flies away after being released at San Joaquin Wildlife Sanctuary in Irvine on Thursday. The rescued pelican investigates his surroundings, including a crowd of curious onlookers, after his release on Thursday. The rescued pelican checks out the landscape before taking off. 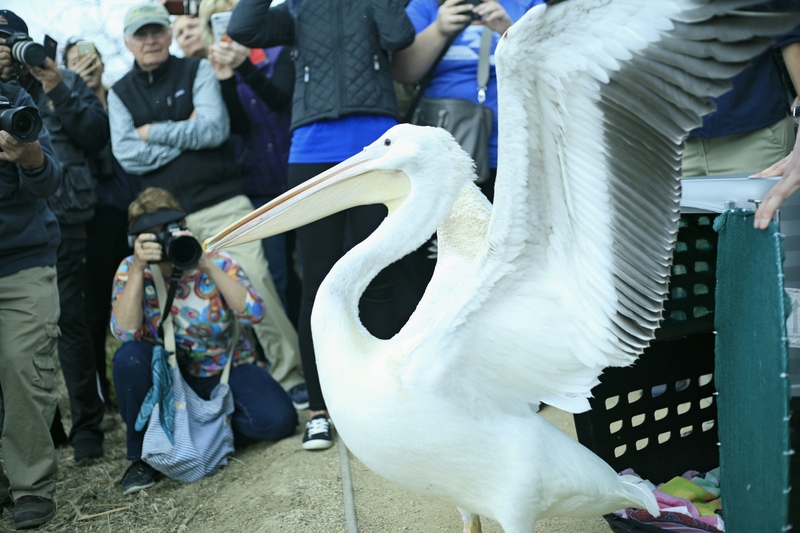 The pelican that was rescued in November in Newport Beach with serious injuries checks out the crowd as he was released back into the wild on Thursday. 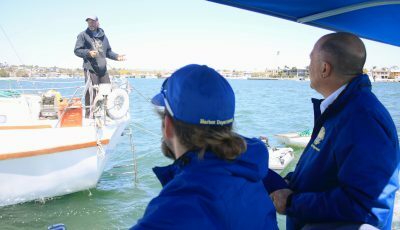 After flying a couple laps above the water and crowd of onlookers, the pelican that was rescued in November in Newport Beach with serious injuries lands on an island at the Joaquin Wildlife Sanctuary on Thursday. 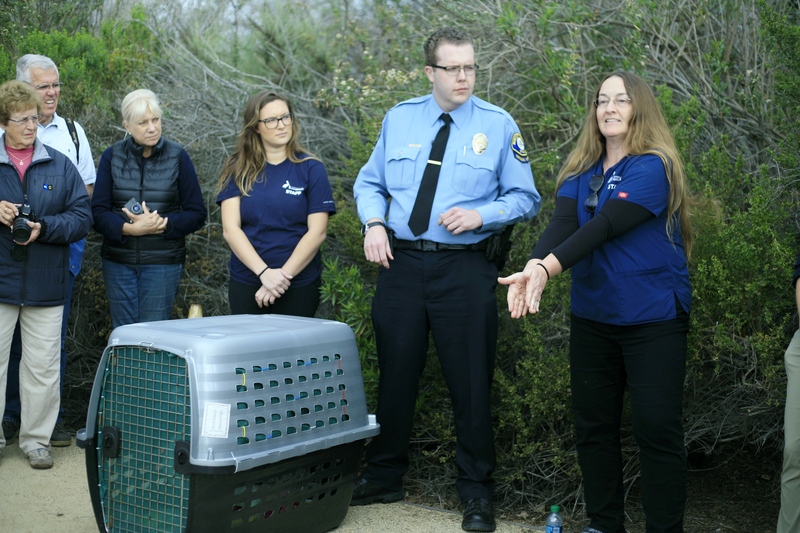 International Bird Rescue veterinarian Rebecca Duerr talks about some of the pelican’s injuries as the crowd, including NBPD Animal Control Officer Nick Ott, look on and the pelican, in the crate, waits to be released back into the wild. 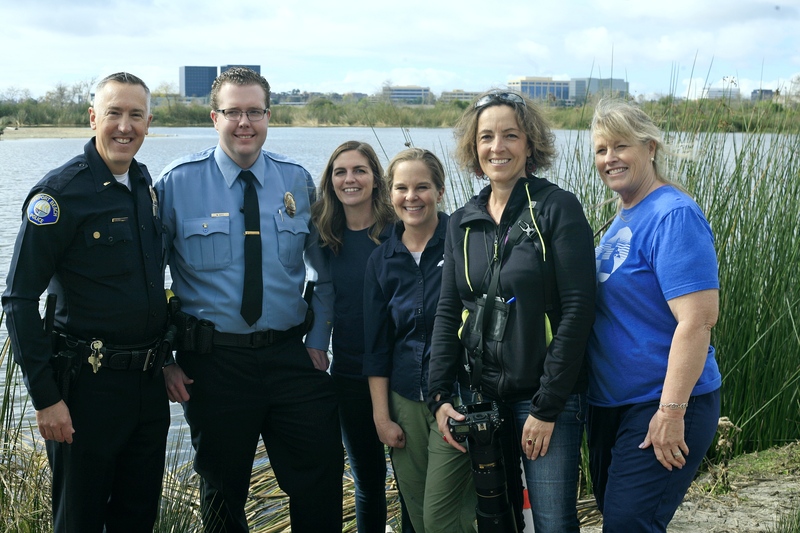 Some of the people involved in the rescue and recovery of the pelican pose for a photo after its release (left to right) NBPD Lieutenant Tom Fischbacher, NBPD Animal Control Officer Nick Ott, International Bird Rescue Wildlife Center Manager, Los Angeles, Kylie Clatterbuck, IBR Program Operations Manager Julie Skoglund, volunteer and photographer Sandrine Biziaux-Scherson, and International Bird Rescue volunteer.